Wanna squeeze in some art into an otherwise jam-packed week? 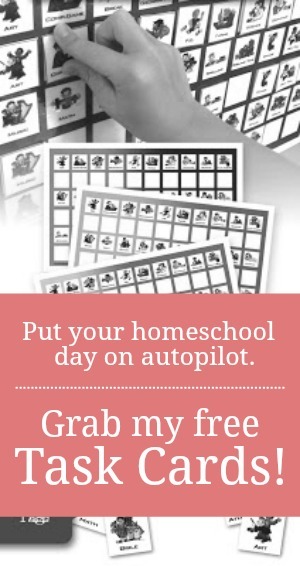 Here's an easy-peasy project that can be woven into your schedule in seconds. These simple magazine scrap sketches blend imagination with more complex art concepts such as, perspective, line, movement, and landscape. 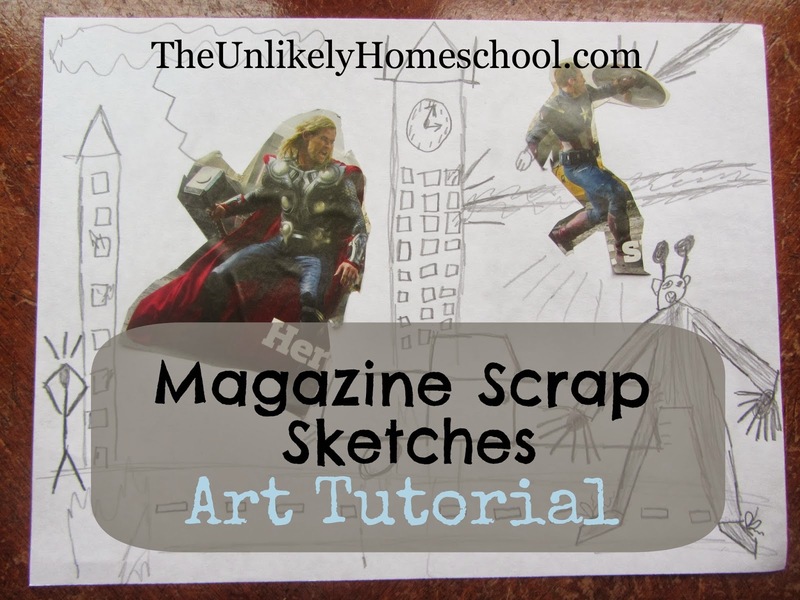 Because there is no right or wrong way to create a sketch, these trash-to-treasure drawings can be adapted for any age or skill level making them perfect for the HOMESCHOOL art class with its multi-level learning. From discarded magazines, cut out a handful of random pictures. It's best to select a combination of people and objects. Try to cut as closely to the silhouette as possible. Once you have a large assortment of random clippings, spread them out and begin to use your imagination to see a "story" in a few of them. Transfer your favorite pictures to a sheet of art paper. Move them around the page and continue brainstorming a possible scene. Imagine ACTION and STORY. Using a glue stick, secure a few magazine scraps to the sheet of art paper. It's best to limit your scrap choices to two or three per sketch. Two kids discover the home of a dwarf. Using a pencil or colored pencils, sketch in the remaining details of the story. Super Heroes save the day! If you have more scraps and stories to tell, continue making sketches to weave together a comic-strip style tale. How fun!! What a great way to turn journal writing into something very creative! Yes, this would make for a great addition to a journaling project! Thanks for the suggestion.